Congratulations to chef Carrie on her successful validation by the La Belle Assiette Jury! Congratulations to chef Carrie Shay on her successful validation dinner. Her validation took place on the 28th of November in Slough. 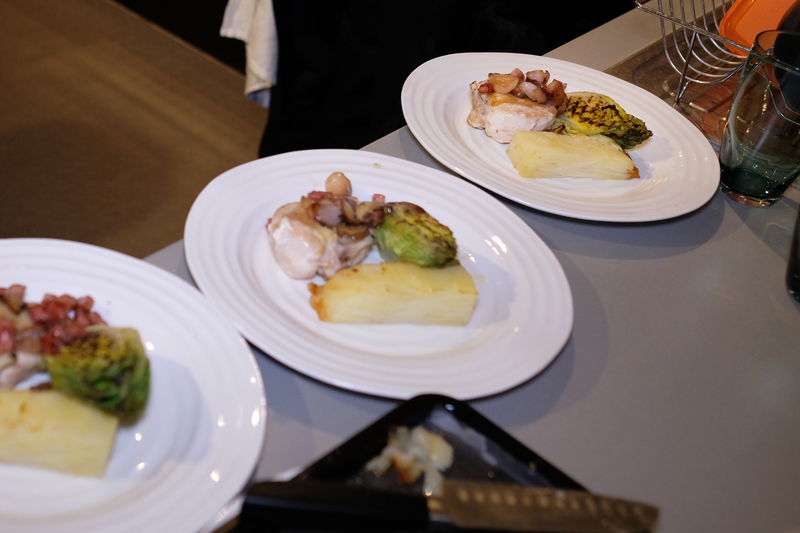 The role of the jury members was to try the private chef dining experience and evaluate the menu prepared by the chef. Growing up Carrie always had a love for food sweet, savoury, hot, cold, anything, and pretty much everything! She would often sit in the kitchen and watch her grandmother cook, which is where her love for cooking began. 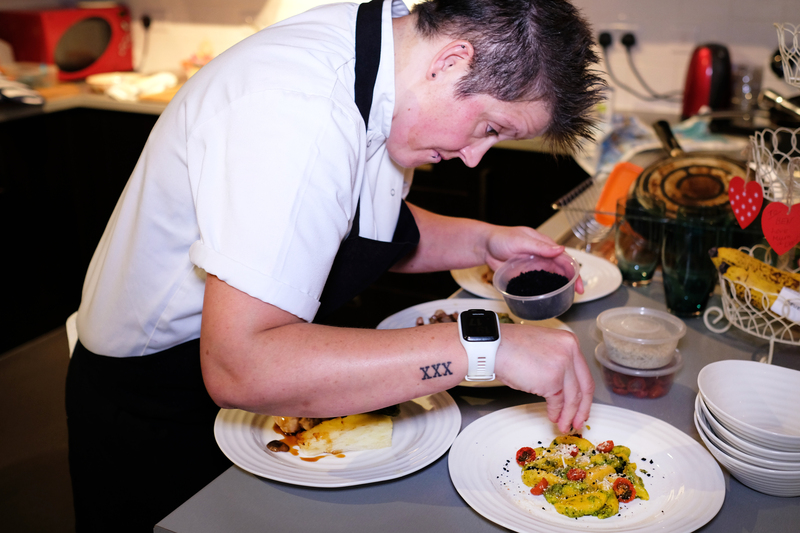 At sixteen she enlisted at catering college, gaining an NVQ level one within months, then going on to gain levels two and three. 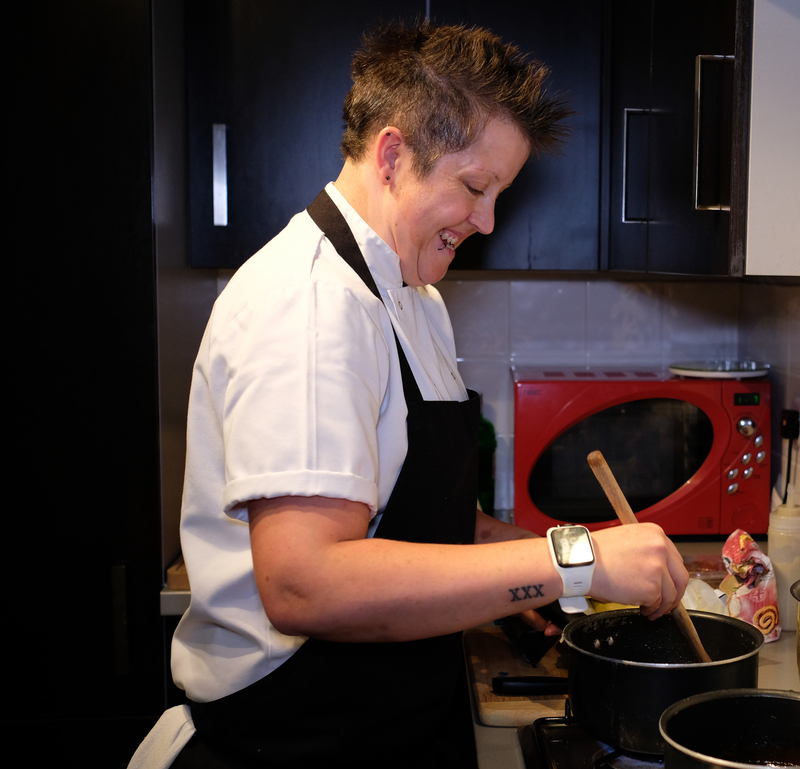 Carrie has worked in varied establishments, starting out in an independent bistro. As the pace was fast, she had to learn quickly! 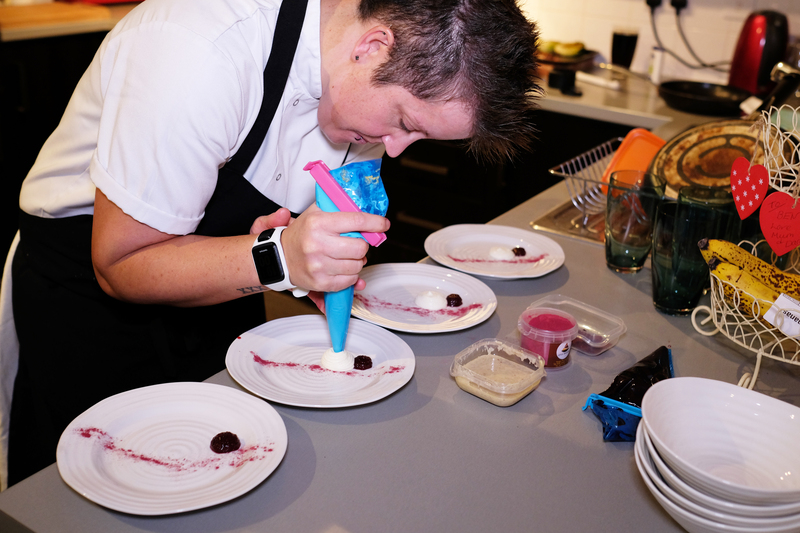 She has since worked alongside Michelin level chefs, within rosette establishments, in hotels and restaurants… She always maintains her ethos of using fresh and seasonal food; it is her passion that the ingredients be treated with respect, to give the best dish on the plate. 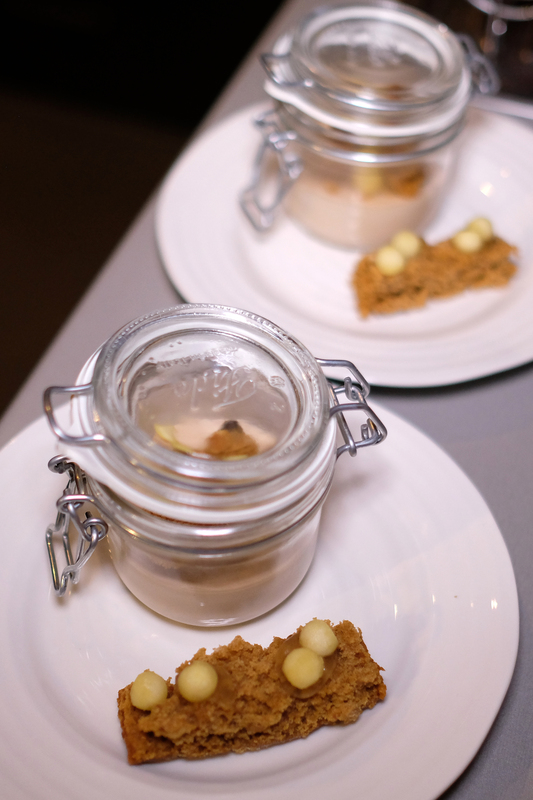 “This was my first experience of hiring a private chef and I would certainly do so again. Carrie arrived on time and was extremely friendly and easy to be around. As this was a mid-week dinner, Carrie arrived with much of the food already prepped and ready to cook which enabled a quick service. I would definitely work with Carrie again. 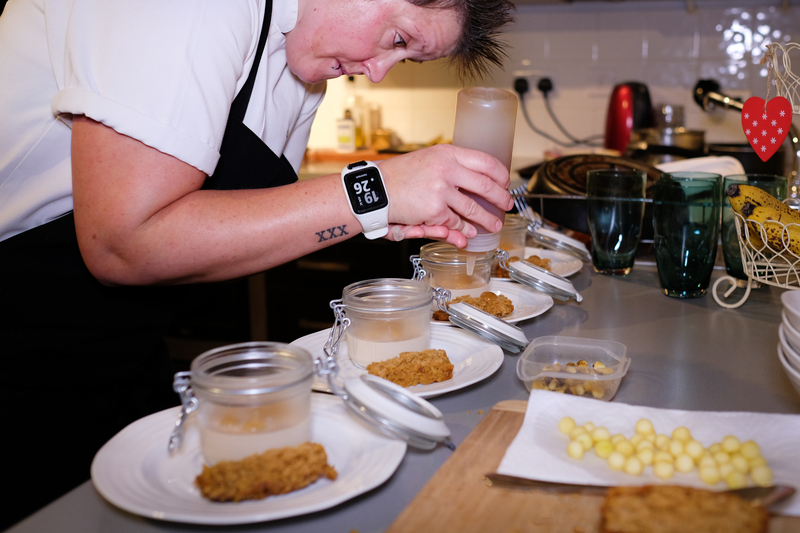 Chef Carrie really impressed the jury with her delicious autumnal menu. Everything was fresh, seasonal, and well presented.